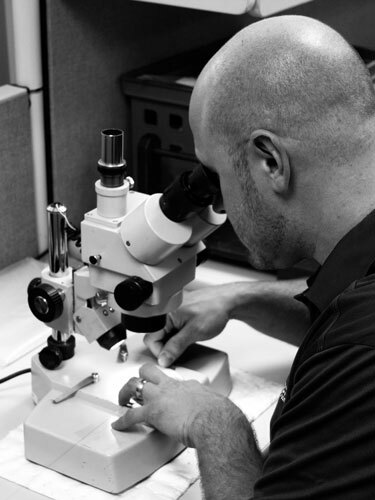 Precision Wire Technologies has been an ISO 9001:2008 compliant company since 2003, and operates an in-house quality lab to allow full traceability of our product back to the mill source. Our lab staff under goes annual quality training and is ISO internal auditor certified, and with a full range of testing equipment and a metallurgy lab, you can rest assured that your wire will meet, and often exceed, your requirements. We have gained the trust of our clients through the consistent quality of products, and are proud to have Certified Supplier status with several Fortune 500 companies allowing us to deliver product directly to stock, bypassing the incoming inspection process. Our processes and attention detail are the same whether you order a 10# spool or 1,000 spools; you will receive exactly what you expect when you order from Precision. We maintain a complete history of all testing data, which is fully available to our customers in either hardcopy or electronic form. It’s this attention to detail and consistency that make PWT the natural choice for your custom drawn wire.